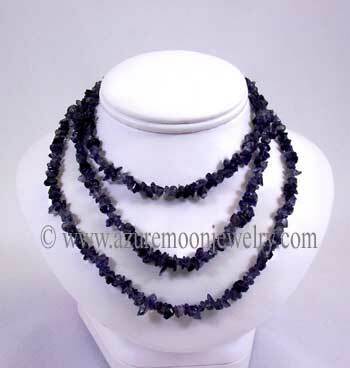 Drape yourself with the power of healing gemstones from the earth with this 36 inch long, endless single strand necklace of genuine Iolite chips. Iolite is the twenty-first wedding anniversary gemstone. Iolite is a seventh (crown) chakra gemstone. 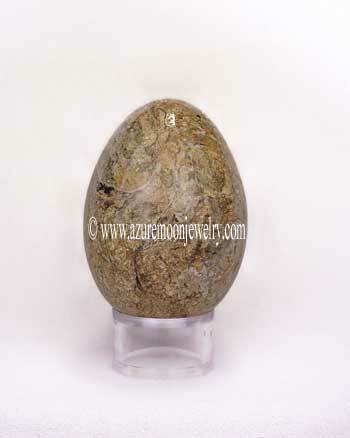 Iolite is a variety of Cordierite and is also known as Water Sapphire or Viking's Compass. Metaphysical Properties: Iolite helps one to change "painlessly" toward spiritual growth. It balances the male/female aspects of ones character creating harmony with the self. It�s also used in the elimination of debts and to facilitate acceptance of responsibility and excellence in ones endeavors and money management. Click here to learn more about the lore and metaphysical properties of Iolite and other popular gemstones.